As a bonus, focusing on this demographic may improve safety messaging for everyone. Here’s why. Why the Focus on Millennials? An April 11, 2018, headline from the Pew Research Center says it all: “Millennials are the largest generation in the U.S. labor force.” According to the report, 35 percent of the workforce is made of this group, who, in 2018, range in age from 22 to 37 years old. Experts predict that millennials will make up 46 percent of the workforce by 2020. What Makes Millennials so Special? Millennials are the first generation to grow up with the Internet and therefore the digital technology, quicker pace, and online life it ushered in. This created a generational life-experience gap that’s been uniquely challenging to bridge. Millennials grew up on digital devices. They’re used to having immediate, easy, and abundant access to information whenever they want it, wherever they are. They’re used to platforms where they can share their thoughts and opinions, and engage in the exchanges their input generates—that is, they’re used to being part of the conversation. But are the changes they’re instigating all that bad? When you look at the list above, doesn’t it seem like everyone would benefit from these safety message tactics? A brief look at these points reveals the answer. Let’s be honest, safety training can be a bore. Especially if it’s an hours-long seminar. Make it short and to the point, and then let’s get on with it. Drawn out informational programs are exhausting for everyone, not just people under 40. Short and frequent is always more effective than lengthy and rare. This is why safety moments are so effective. It’s also why advertising works. You don’t see an hour-long commercial one time. You see and hear short spots many times—and through many different channels. Spread your safety tips for warehouse employees through posters, email, texts, and PA announcements. And, yes, embrace all of those free social media platforms: Twitter, Facebook, Instagram, YouTube, SnapChat. These avenues serve double duty: sharing warehouse safety ideas and providing the opportunity for workers to directly engage with safety messaging. Millennials want to be part of the safety training dialog, just like everyone else. That’s why a common piece of advice about creating a strong safety culture is to get workers involved. Safety is a team effort. To involve more staff, go beyond pairing millennials with Gen Xers or boomers. You could pair a warehouse shift worker with someone from management. The idea is to flip around the traditional hierarchy and expand on sources of input. The popular TV show Undercover Boss used this approach and found upper-level management, even CEOs and company owners, learning valuable lessons from lower-level employees. Senior staff may learn about new technologies or ways of sharing information, and the mentor learns through teaching: millennials value being in leadership positions. Promoting learning through teaching is a very old concept, by the way: the Latin proverb “docendo discimus,” which translates roughly to “by teaching, we learn,” dates back to sometime around the first century. Millennials place a premium on learning and on-the-job training. To keep them engaged and to keep them on your workforce, you need to provide them with new information. Stay up-to-date on safety trends, apps, and PPE. This will capture the focus of your short-attention-span younger workers and improve well-being for all staff: embracing advances in safety benefits everyone. Whenever you must impart information that requires more than a tweet or online post, make the information digitally available, so workers can access it when they’re able and in a learning frame of mind. Millennials like flexibility and doing things on their own timeframe. But then again, who doesn’t? Millennials want to know that safety is a workplace priority. 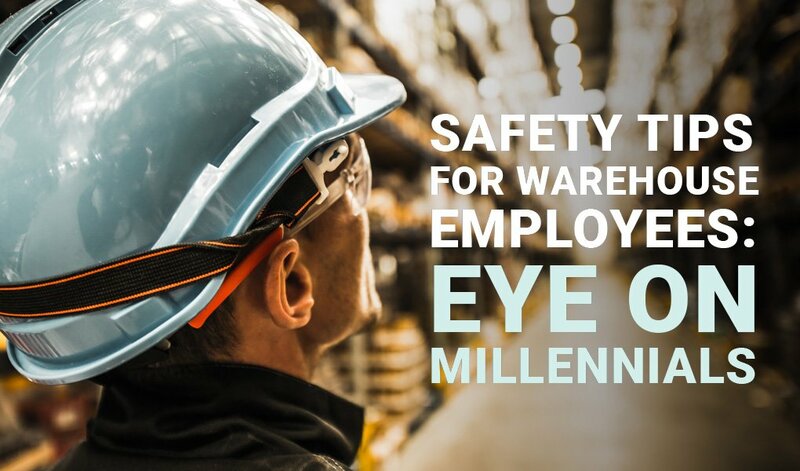 Crafting safety tips for warehouse employees to reach your millennial audience will be worth the effort, and may strengthen workplace safety culture for your entire staff.